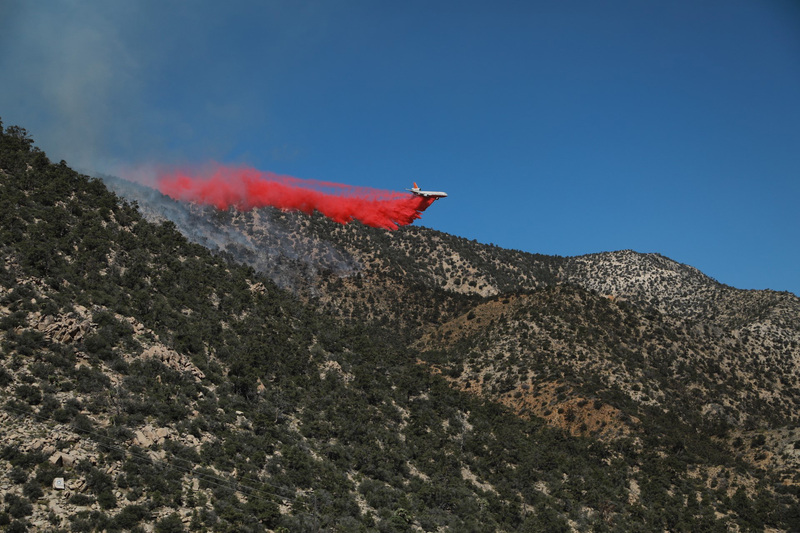 The Holcomb Fire near Big Bear Lake started on June 19. SCE crews replace power poles and equipment damaged in the Holcomb Fire near Big Bear Lake. The Holcomb Fire near Big Bear Lake has consumed 1,800 acres. 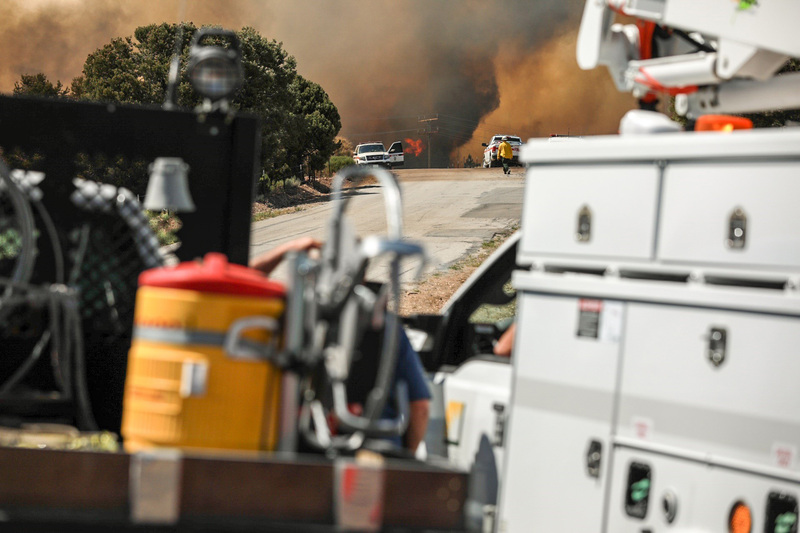 As a relentless heat wave continues to engulf most of California, Southern California Edison crews are also keeping watch of wildfires, including the Holcomb Fire in the Big Bear Lake area. Almost 1,800 acres have burned with only 10 percent containment as of Wednesday morning. First responders gave the OK for SCE damage assessment teams to enter the areas deemed to be safe. A number of power poles and overhead equipment have been damaged by the fire and will require replacement by SCE crews. Some pole replacement work began on Wednesday when SCE crews were allowed to safely enter some areas. SCE has also started a temporary laydown yard to house the material and equipment that will be needed for repairs once crews are allowed to enter more of the damaged areas. The yard will eventually contain power poles, reels of wire and transformers. Customers in the area are serviced by Bear Valley Electric using two main SCE lines that feed into the area. SCE crews are there to offer mutual assistance to the local utility. The fire is located north of Big Bear Lake in the San Bernardino National Forest. The Holcomb Fire began on Monday and there is currently no estimate for full containment. The National Weather Service has issued heat advisories and warnings through Sunday in several areas, including Los Angeles, Orange, Riverside, Santa Barbara, San Bernardino, San Luis Obispo, Tulare and Ventura counties.